Cakes are traditional sweet and savory food. 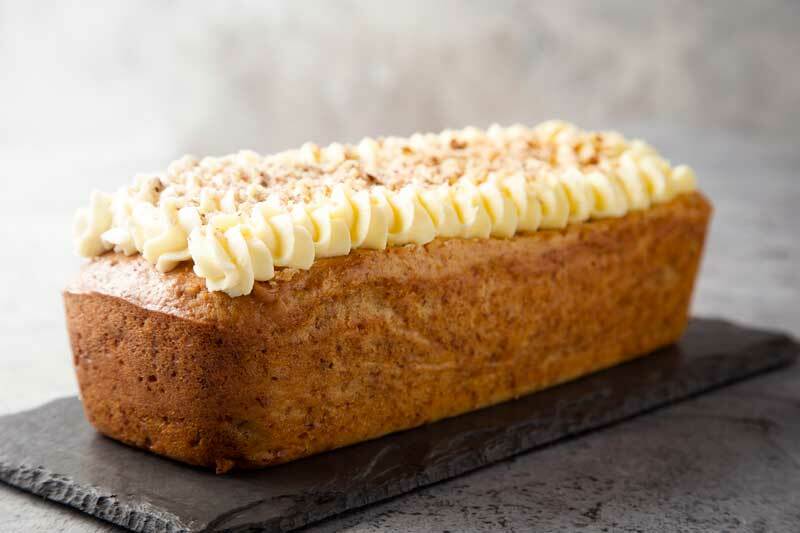 Cakes differ from breads, in that they are richer and are eaten by them, rather than as an accompaniment. They are generally made from a mixture of flour, fat; eggs, sugar and other ingredients baked together and are also iced or decorated. They could also contain honey, fruits and nuts. Cakes come in many shapes and styles, some of the commonly found shapes are; round, square, rectangle, oval, etc. However, the most popular shape remains round and the methods in which they are produced vary from different regions and cultures. As a guest user, you have access to 3 recipes. Enroll to get more Techniques, Guides, Recipes ,Videos & to get certified by City & Guilds,London, UK. 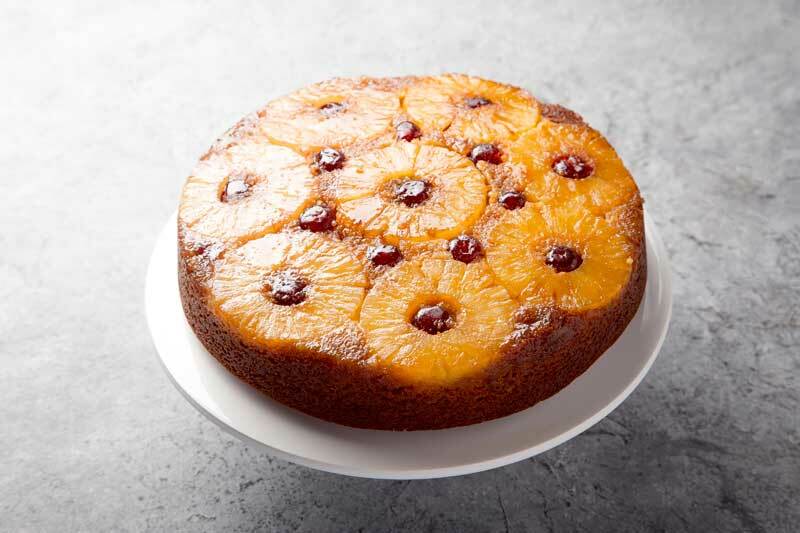 The dense bittersweet flavor of the caramelized pineapples and cherries compliment the light vanilla spiced sponge cake. 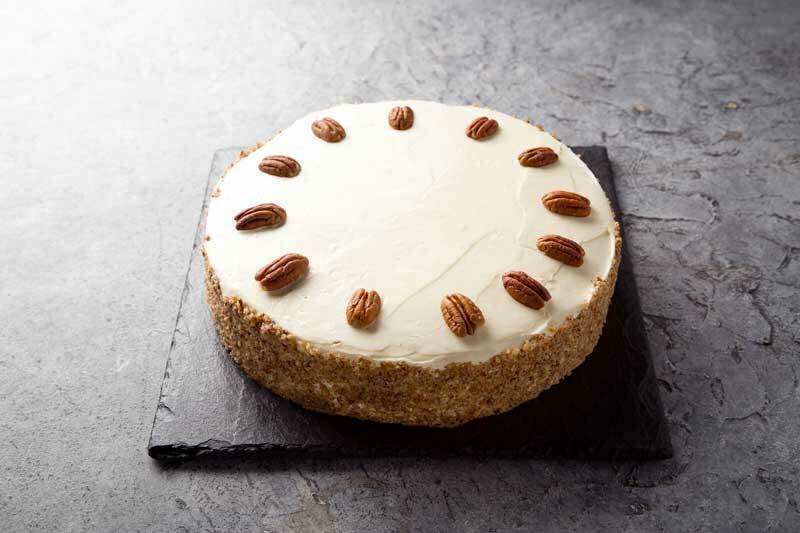 This dense yet light sweetened cake with the grated strands of carrot layered with the salty sweet cream cheese frosting, that richly complementeach other. The fluffy intense red colored sponge cake is layered with the salty white cream cheese frosting and garnished with crunchy chopped pecans. 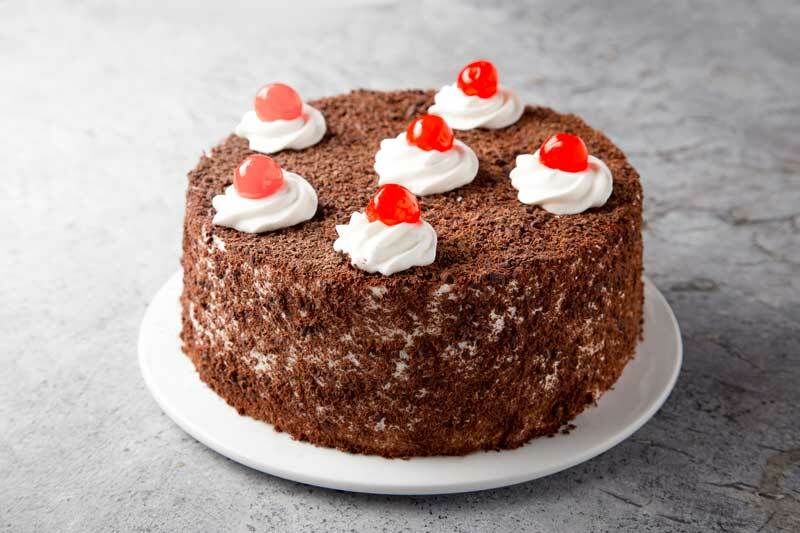 Dark, dense, chocolate layered cake moistened with cherry syrup & chopped cherries, topped with an airy light whipped cream and garnished with dark chocolate shavings. 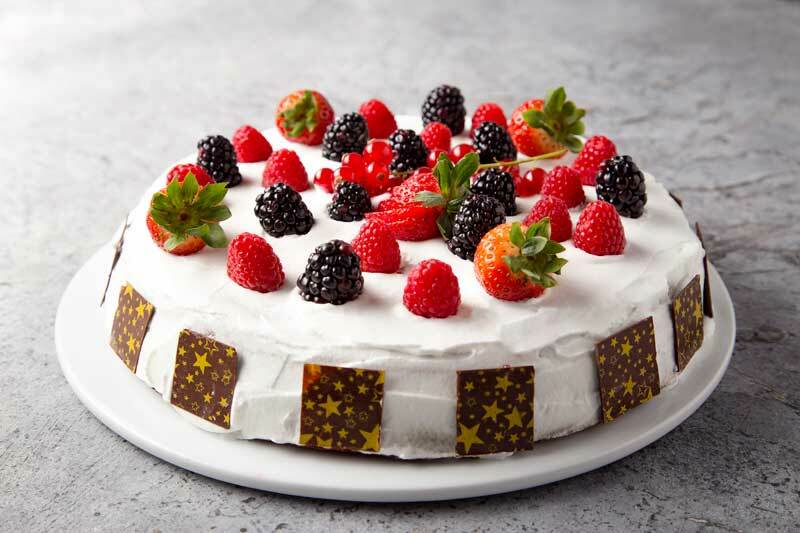 The rich and intense dark chocolate makes the light aerated cake dense and moist, that works well when garnished with a generous dusting of icing sugar.